Technology, Gaming and Gadgets news. Enter your email address to follow SwiftInformer and receive notifications of new content by email. Xiaomi’s bezel-less Mi Mix 2 smartphone is arriving in India today (October 10), and now it has been confirmed that the device will be exclusive to online retailer Flipkart at launch. The confirmation is made by a tweet from Flipkart. Of course, the Chinese company will also be officially selling the phone in the country – it will be available via Mi.com and Xiaomi’s Mi Home stores across India. The Snapdragon 835-powered handset was made official last month, and has only been available so far in China, where it has proven to be quite popular. As for its specifications, the Xiaomi Mi Mix 2 comes with a 5.99-inch display with edge to edge screen and is powered by the Qualcomm’s current best Snapdragon 835 Processor. The device runs the latest Android Nougat 7.1 and is backed up by a 3400 mAh battery. The cameras on the Mi Mix 2 include a 12-megapixel camera at the back that is placed just above a fingerprint sensor. The selfie shooter carries a 5-megapixel lens. 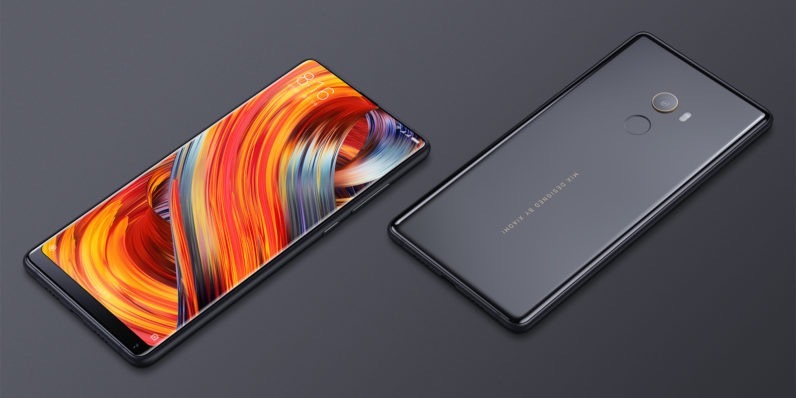 In China, the Mi Mix 2 has been priced at 3299 Yuan (or Rs 33,000) for the 6GB RAM and the 64GB internal storage variant, 3599 Yuan (or Rs 36,000) for a 6GB RAM and 128GB internal storage variant and 3999 Yuan (Rs 40,000) for the 6GB RAM and the 256GB storage variant. We are expecting similar price range of the smartphone for India as well.